Tennis elbow is the most common type of elbow pain. The majority of those who have experienced tennis elbow do not actually play tennis. Tennis elbow recovery through rest alone can be very slow and a proactive approach is recommended, consisting of professional diagnosis, treatment and strengthening. Usually, tennis elbow causes pain while performing gripping tasks, particularly gripping with twisting or while trying to control a load. Interestingly, there can also be a complaint of neck stiffness or tenderness, and signs of nerve irritation like pins and needles or altered sensation in the 4th and 5th fingers of the hand on the same side. The neck can also cause tennis elbow like symptoms or amplify the tennis elbow symptoms even in patients who haven’t noticed an issue with their neck. Tennis elbow may cause pain in the outer side of the elbow and upper forearm. There may also be other symptoms including swelling, stiffness in the forearm or weakness. Tennis elbow is relatively simple to diagnose through clinical assessment. 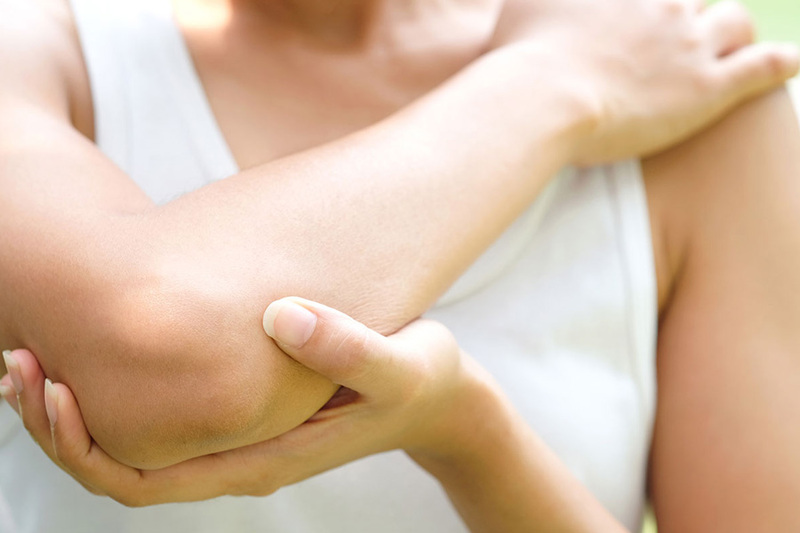 The condition often presents with pain on the outside of the elbow, and pain when gripping or contracting muscles that are attached to the outside of the elbow. Your experienced physiotherapist will be able to diagnose your condition quickly. Tennis elbow can then be effectively treated. Initially, it is important to identify the contributing factors to the onset of the pain and make modifications to activities or ergonomics. Tennis elbow treatment then depends on the individual. Patients often present differently with tennis elbow, so treatment has to be tailored specifically. An experienced physio will be able to provide manual therapy in the form of dry needling or massage, exercise techniques which strengthen and stretch the muscles in your forearm and strategies to offload the arm as it recovers. Some strategies include a strap or arm brace to help reduce the pain and stress on the affected area if you have certain activities which normally provoke pain but are presently unavoidable. To achieve this your experienced physiotherapist may include gentle mobilisation techniques for the elbow and neck joints, muscle stretches, dry needling, massage and elbow bracing or taping. There are many ways to improve your symptoms with physio for tennis elbow. 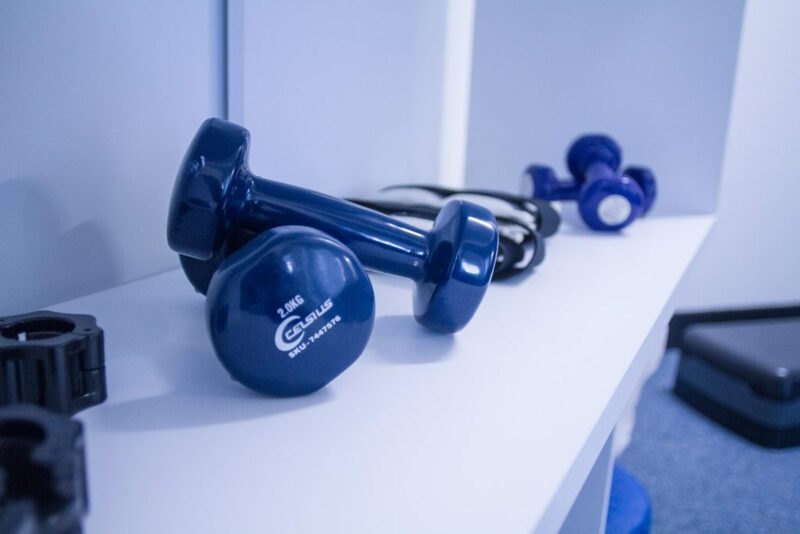 Your physiotherapist will thoroughly assess and discuss the most effective strategy based on your symptoms and the day to day physical demands on your elbow. The time it takes to fully recover from tennis elbow will depend on the severity and time frame of the injury. It is recommended to seek treatment early to improve your rate of recovery. Integrity Physio has received a fantastic 4.9/5 star rating from 39 Clients on Google. Many thanks to our wonderful clients! Matt is an experienced Physiotherapist and Exercise Scientist. With 20 years in the industry, Matt is a highly skilled clinician with expertise in diagnosis, manual therapy, dry needling and rehabilitation. Matt holds a Bachelor of Science in Sports Science (ECU) and a Bachelor of Science in Physiotherapy (Notre Dame). Matt’s approach to patient management is holistic. He has a genuine interest in whole body movement and how the rest of your body may be impacting your current injury or area of pain. He is very experienced in joint replacement rehabilitation, arthritis management, chronic hip pain and in particular works well with the older adult population. He has a keen interest in gym and functional rehabilitation, helping his patients achieve what they want from their bodies. In his spare time Matt likes to get out on the water paddle boarding, running, cycling and generally being active with his family. Leanne is a Senior Physiotherapist with over 10 years experience in clinical practice. She holds a postgraduate qualification in Sports Physiotherapy as well as certifications in Selective Functional Movement Assessment (SFMA), Dry Needling and Clinical Pilates. She has many years of experience working across all age groups – particularly those in high-level competition. This includes children experiencing growth spurts, active and sedentary adults and seniors. Leanne spent her early career in South Africa after graduating with honours from the University of Cape Town in 2006. Since then she has maintained a determination to get to the cause of a patient’s problem. She is a highly proficient manual therapist and very experienced in dry needling and exercise prescription. Leanne is dedicated to the profession and her patients, continually expanding her knowledge with new developments in research. She is also regularly refining her skills in manual therapy as new courses and methods of treatment come available. Outside of work, Leanne likes keeping active, getting involved in team activities and spending time outdoors. Please consider others and provide us with 24 hours notice if you need to cancel or reschedule your appointment. Late cancellations, late reschedules and non-attendance will be charged except under exceptional circumstances at a cost of $42.50 (50% of our standard fee). We accept Medicare EPC Plans from your GP. We allow 30 minutes for all consultations including those under Medicare to ensure you receive a high-quality service. The Medicare rebate (the amount Medicare contributes to your consultation) is currently limited to $52.95 so to make this service sustainable a gap fee applies. Consistent with our standard fees the gap for medicare consultations is $32.05. If you hold a valid pensioner or health care card the gap will be $22.05. If you have any questions about how our service under Medicare differs from other providers or have any questions about our gap fees please don’t hesitate to contact us. If you would like us to provide you with physiotherapy services under Medicare please see your GP and provide them with the details of our practice. 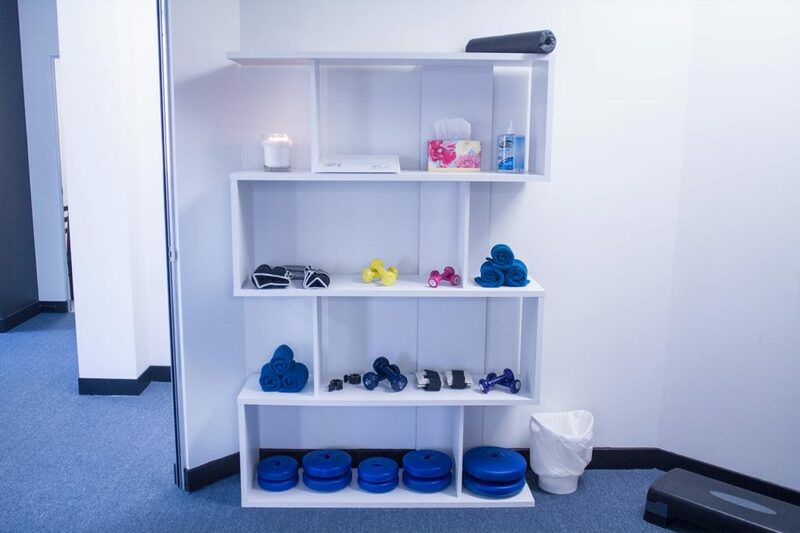 Whether you have chronic pain or just need help recovering from an acute injury our rehab gym allows us to identify any movement faults contributing to your pain and teach you specific exercises to optimise your recovery. We allow 30 mins for our follow-up consultations. This means you’ll have the time you need if you have a few extra questions. Our initial consultation is designed for us to get to know you for the first time and gain an understanding of your area/s of concern. We allow 30 mins so we can be thorough from the outset and get started right away with the most appropriate treatment. Julie is Practice Manager and Director of Integrity Physiotherapy. Her warm disposition is sure to make you feel at ease as you enter our clinic. Julie is married to Leslie. She enjoys tennis, rock climbing, listening to music and spending time with family. Leslie is a Senior Physiotherapist and Director of Integrity Physiotherapy Como. He has over 10 years experience in clinical practice primarily in the management of musculoskeletal pain conditions, gym rehabilitation, vertigo/dizziness and jaw pain. Leslie completed a Bachelor of Science in Human Biology (Anatomy and Physiology) at Curtin University in 2001 and later went on to complete a Masters of Physiotherapy in 2007. Since then he has gained a wealth of experience in musculoskeletal, orthopaedic, neurosurgical and sports physiotherapy. He has also been on academic staff at both Curtin and Notre Dame University. Leslie is known by his patients for a problem solving approach to clinical practice. Whilst there are many theories about why people develop and sustain persistent pain conditions, no two people are alike. Solving complex problems requires experience, a thorough knowledge of the evidence and an ability to treat each person as an individual. Leslie is intentional about taking the time to hear each patient’s story, as any part of it can be relevant to their pain and may hold the key to a solution. He recognises the importance of developing long term relationships with patients and building trust. In his spare time he enjoys swimming, listening to music and spending time with his family. We accept patients under DVA. Please see your GP for a referral. 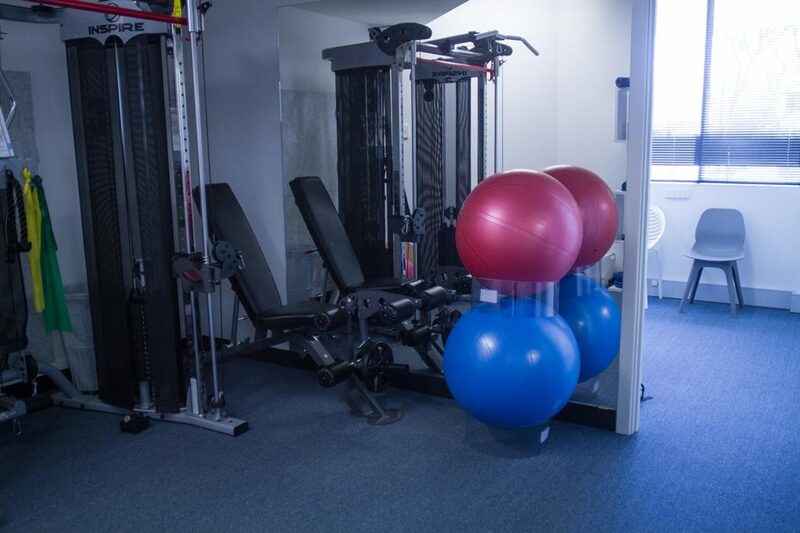 Our fully equipped functional rehab gym allows us to perform one on one sessions for a range of conditions. 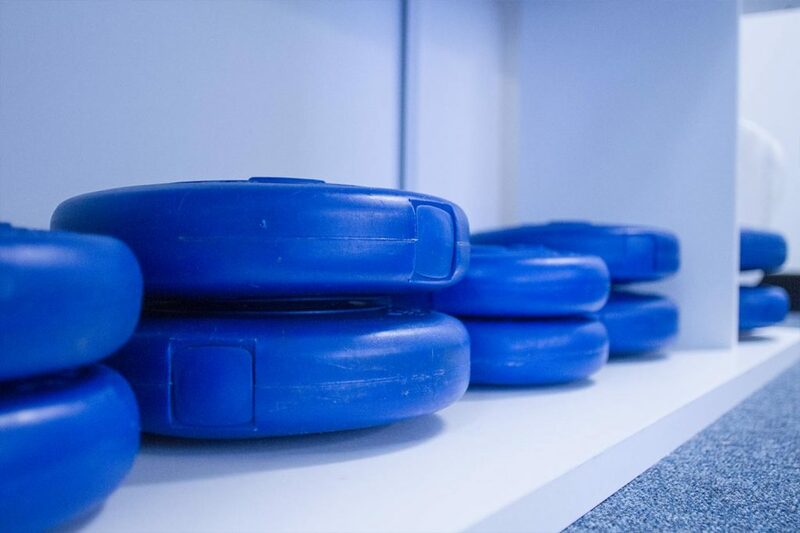 From chronic pain to sports performance to cross-fit, functional rehab allows us to identify the movement faults contributing to a person’s pain or impaired performance. Every session is one on one and consists of a detailed assessment of your movement patterns during key functional tasks. Where relevant we will then develop corrective movement strategies to alleviate your pain and guide you through a program specific to you. We accept patients with workers compensation claims. Please see your GP for a referral. We accept patients with motor vehicle insurance claims. Please see your GP for a referral. Research has changed the way we look at posture and ergonomics. We stay up to date so you get the best advice. Dry Needling involves placing fine acupuncture needles into muscles to reduce pain and tension. All our practitioners are highly trained and experienced in the use of dry needling and will be happy to discuss this with you as a treatment option. Joint mobilisation is a gentle form of manual therapy to improve mobility in a stiff joint. Joint manipulation is a firmer manual therapy technique applied to a joint to improve mobility. It is often associated with an audible click. With our experience in complex and chronic problems we are here to help if you haven’t been able to make progress with your condition. Given our experience, complex injuries and chronic pain is what we do best. We understand that each person is unique in their clinical presentation and requires a thorough assessment and an individualised approach. During our assessment we will clearly communicate to you a diagnosis for your condition so you feel confident about the direction we are taking.